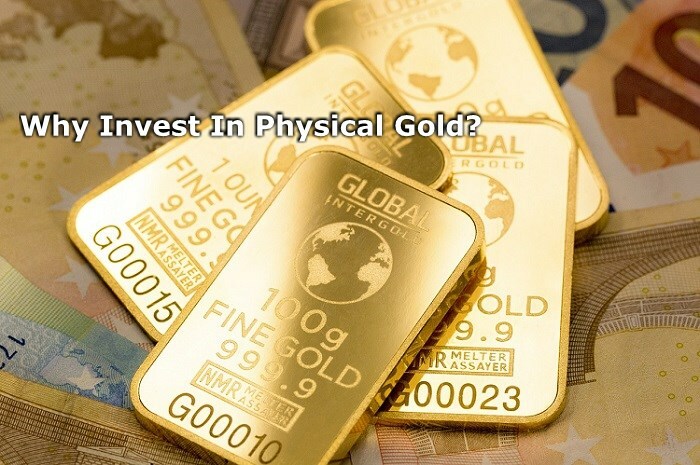 Physical Gold has real world uses and is in demand, including being used in manufacturing nearly every sophisticated electronic device. 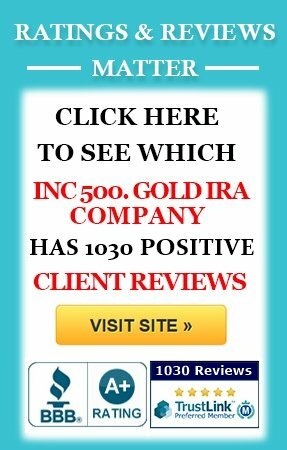 With unemployment exploding, foreclosures at an all time high, and Billion dollar companies failing, it’s reasonable for the average citizen to assume that things “can’t get any worse”. That is dangerous thinking. Especially with a double-dip recession on the horizon. But let’s say things do magically get better… what would that mean? 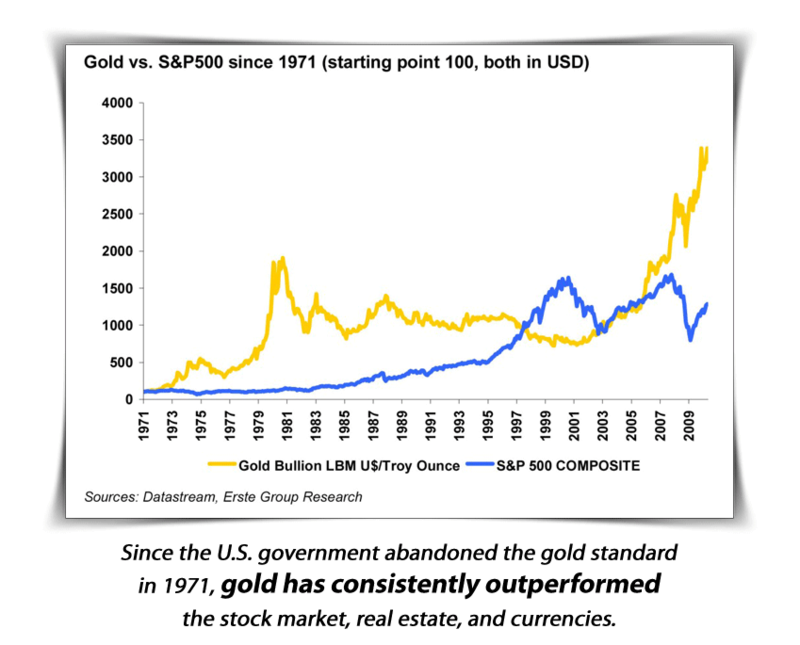 Even so, what would happen to gold if things magically “got better”? And that is GOOD for anyone who owns gold. 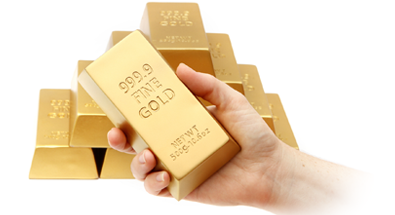 Because when consumer confidence is low, and interest rates are low, demand for gold goes up. 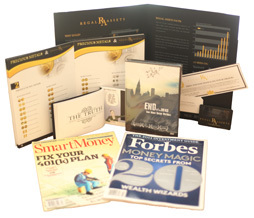 Gold benefits from economic and psychlogical factors. 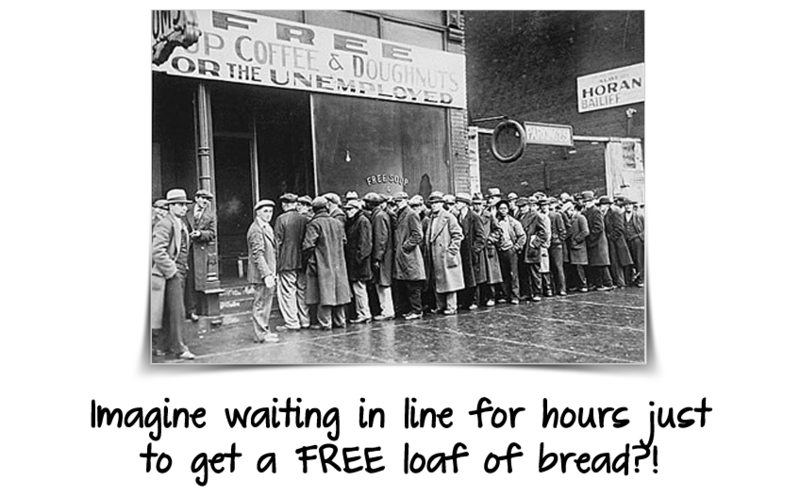 Meanwhile, the cost of simple litems like a loaf of bread will continue to rise to unprecedented prices, while average citizens continue to make the same amount of money they’ve been making. 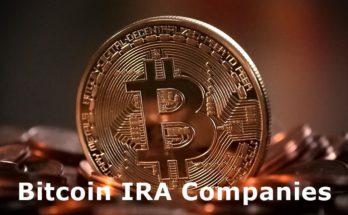 What will happen to you and your family when your savings and retirement accounts are completely worthless? 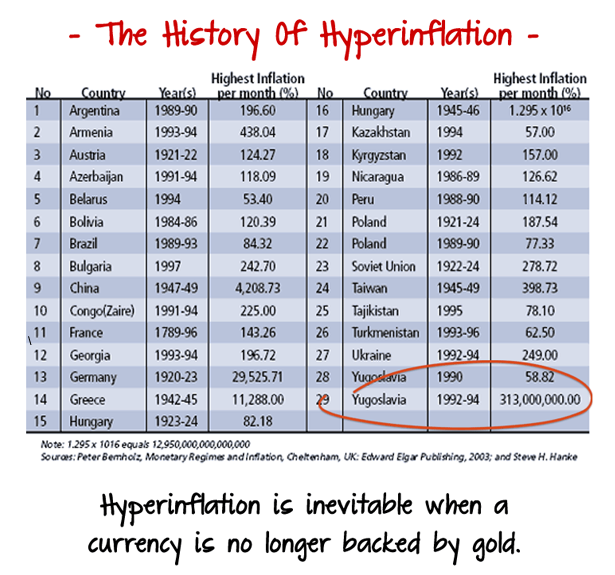 Every single paper currency fails eventually. 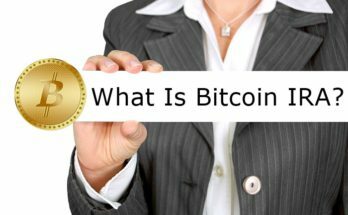 A central bank is an insititution that usually issues the currency, regulates the money supply and controls the interest rates in a country. In contrast to a commercial bank, a central bank possesses a monoply on printing the national currency. The central bank has never worked becasuse when you give a private bank, with private owners, free reign to control a country’s currency. 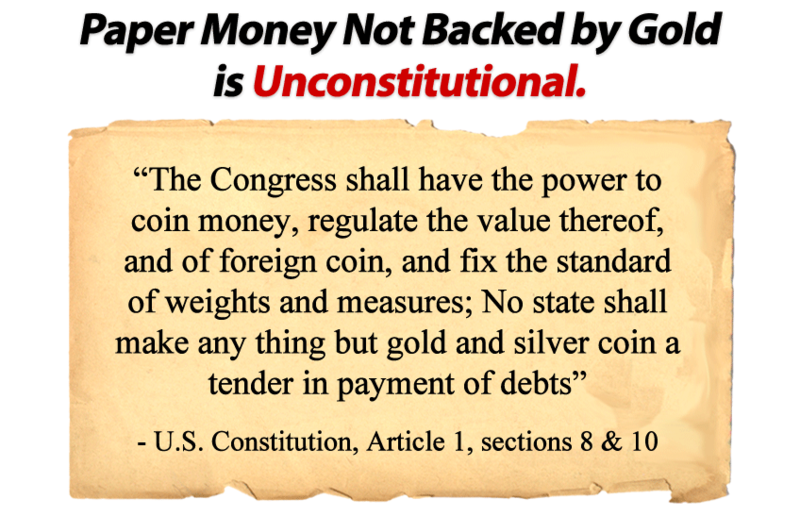 Unfortunately, there are no checks and balances to stop those individuals from printing money irresponsibly or to advance their own interests. It’s improtant to note, England’s requirement that Americans accept the Central Bank of England, was one of the very reasons that Americans fought for independence in the 1770’s. So what happened in the early 1900’s when Congress tried to introduce the idea of central banking yet again? So it was simply called a different name, “the Federal Reserve”, and the most powerful bankers in the world (JP Morgan and others) also guaranteed its approval by using their influence to create mass hysteria. 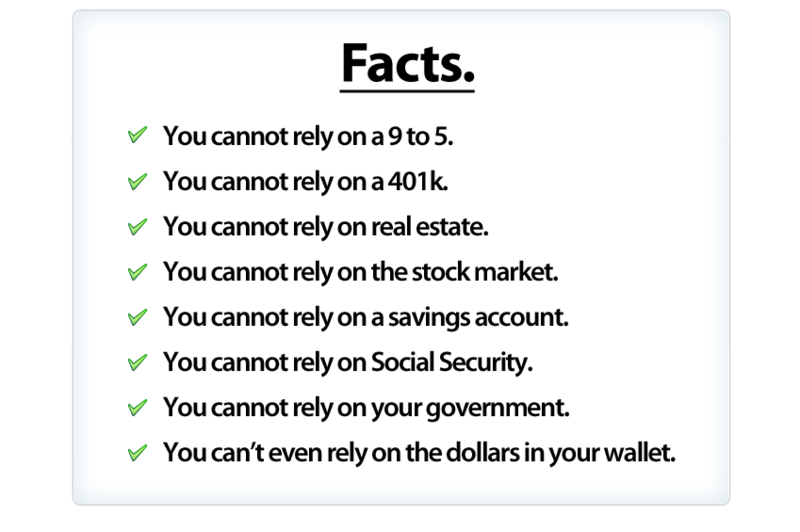 They (falsely) announced that many major banks would soon be bankrupt and encouraged Americans to withdraw their money. The “bank run” became a self-fulfilling prophecy, and the mass withdrawals DID, in fact, wipe out a lot of smaller banks. The Federal Reserve is a privately owned bank, outside U.S. jurisdiction, that can do whatever it wants. 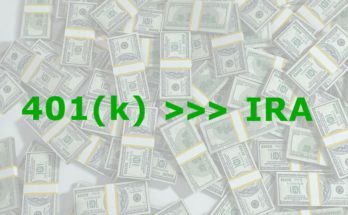 It prints money and loans it to the U.S. governement with interest. 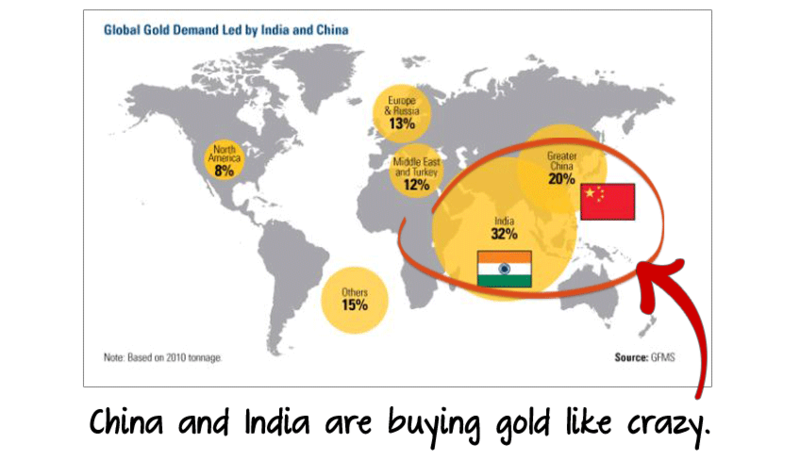 China and India are buying gold like crazy. They consumed 52% of the world’s gold in 2010. 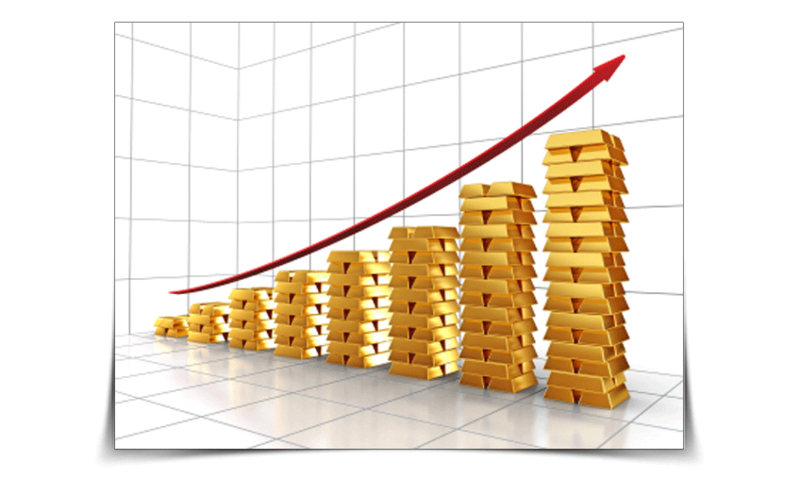 And in 2011, increases in demand from China and India have driven a 7.5 per cent increase in demand for gold jewelry during the first half of the year, despite a 25 per cent increase in the price. Additionally, a recent cable was leaked by the infamous WilikLeaks website, which revealed the REAL reason behind China’s increasing demand… It showed that China’s intent is to make major gold purchases for the sole purpose of weakening the U.S. dollar. 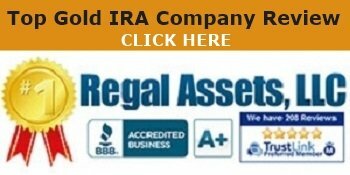 Our personal recommendation to safeguard your future with gold is to contact Regal Assets, The #1 Rated Gold Investment Company 7 years in a row, Click Here To Request A FREE Gold Investors Kit. 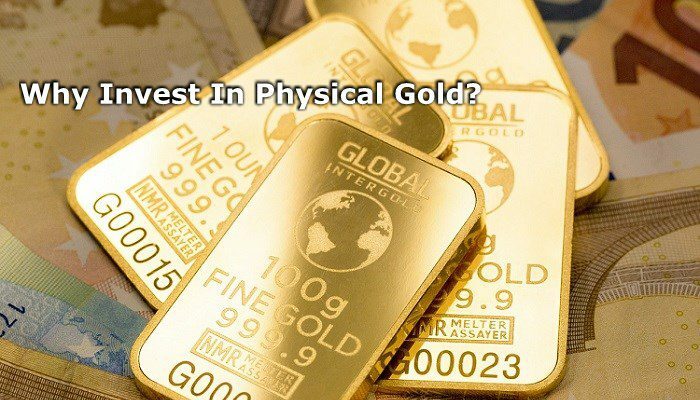 Next Article What is Gold Investment?